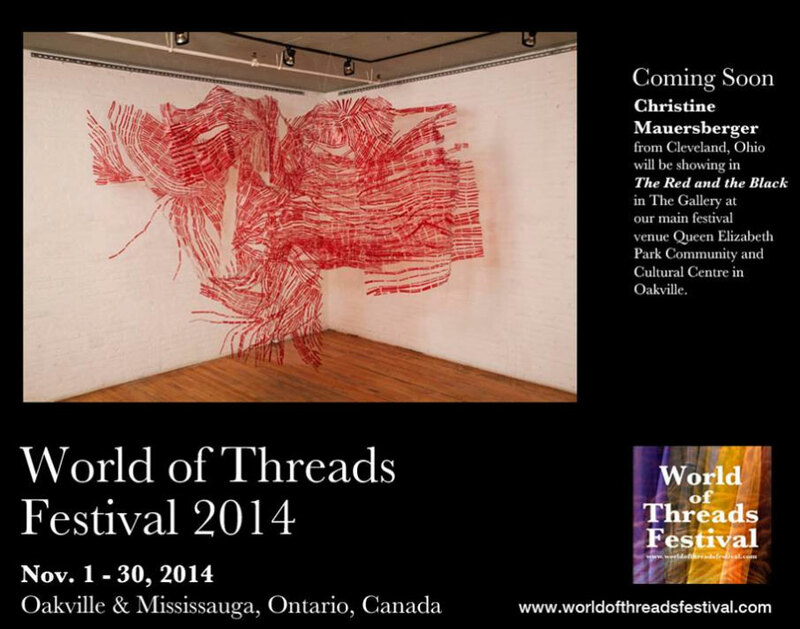 I'm pleased to announce that my piece, , Timelines has been selected to be i in the World of Threads Festival (WOT) in Oakville, Ontario, Canada in THE RED AND THE BLACK exhibition. Opening reception is on November 1, 2014 and can't wait to see the entire exhibit which features 255 artworks by 97 artists. This will be the 20th anniversary for WOT. See all information on this link HERE. I've been working on several new series lately and have been stitching daily, but am not ready to share that work yet, but soon! What is making me excited this week is that I've taken the Catalpa leaves as seen here, and run them through a printmaking press at Cleveland's premier printmaking co-op, Zygote press using Akua water based (non-toxic) inks. First I use the leaves as eco prints on fabric, then, after I've unrolled my eco print bundle, I take the leaves and press them in old phone books. I like the way the leaves look all cooked and dark. later, I soak them in glycerin and water to give the leaves some body so that they don't rip when I'm running them in the press. I like to be able to use the leaves as eco prints and as mono prints. Endless beauty!